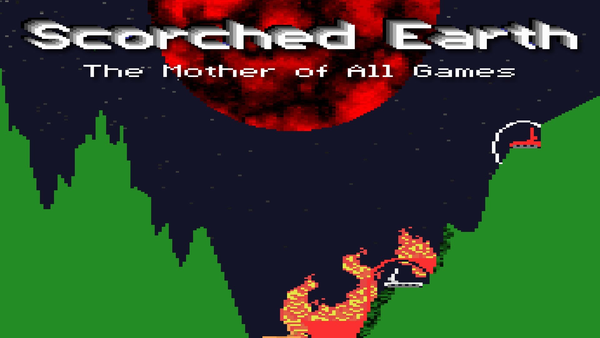 Last month we have been playing 2 games: Scorched Earth and Strike Commander. We decided not to discuss both games in one podcast, but each give them their own episode. This is the episode about Scorched Earth, the one about Strike Commander will follow shortly. Joining usual suspects Martijn ("Tijn") and Florian ("rnlf") is a new guest to the show: DOS Game Club member Oddvar, known online as "dollarone". He was the one who suggested we play Scorched Earth, using the game suggestion forum. July is well underway and we're playing 1995's classic RTS: Command & Conquer, by Westwood Studios, as suggested by rnlf. We try to alternate between more and less well-known games, and after a few relatively obscure titles, we figured it was time for another blockbuster. If you don't happen to have a copy of C&C laying around, there's some good news for you: a while ago the game was released as freeware and the good people at archive.org are hosting the original disc images. That means you can download the entire game for free! More info over at the forums. So feel free to join us in playing Command & Conquer this month. We're also planning some multiplayer sessions this week. If you want to join, just hang around on the forums or join us on IRC (irc.afternet.org #dosgameclub). That's it for now. See you around and until next time!